'Harris (Steels) Limited are a steel stockholder and processor, fully accredited with ISO9001. 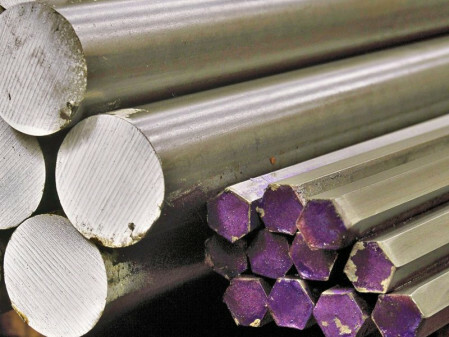 Harris Steels was formed in 1960 as a partnership between B B Price ltd and Thomas Harris. The objective was to ensure a reliable supply of high quality steel forging bar at a time when steel remained an allocated material to the engineering and manufacturing industries from wartime Britain. The business was originally located at Thomas Parish Forgings in Halesowen town centre. A rapid expansion however, both for Harris Steels and B B Price meant that a significantly larger site would be needed and in 1965, Harris Steels moved to Coombs Road. The existing warehouse we have today was built around the outside of the previous building and began to take shape in 1970. The next four years would see the addition of two steel bays, overhead cranes, weighbridge, offices and 40,000 square feet of storage capacity. Harris Steels main product outside prime forging bar was bundled random bars, sourced from mills across the country and sold to other stockholders. Mill random bars became an increasingly unpopular product towards the late 1970’s and became largely obsolete in 1979 when the British Standards Institute introduced BS5750 with a different perspective on quality control to that which the industry had previously worked with. 1979 saw the secondary focus of the business move away from stockholder sales and on to supplying end users. The new end user focus lead to a large increase in the company’ stock range and additional processing. Our first cutting service was introduced in 1980, with shearing, press-braking and fabrication services following soon after. Over the past half century our business has evolved and grown enormously and our stock range and additional processing capacity is ever increasing, but our focus remains on attention to detail, providing our customers with the highest quality products and with exceptional levels of customer service.